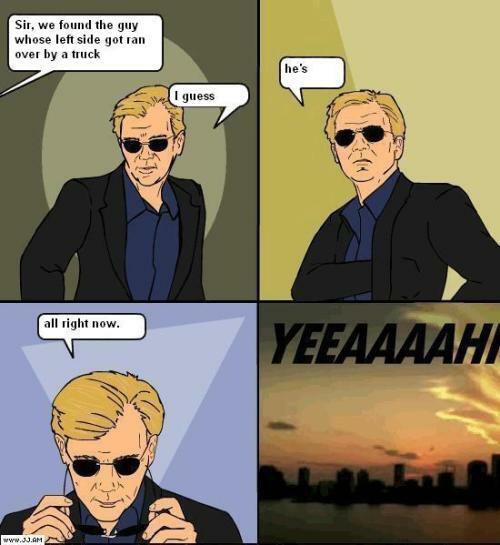 Grab your David Caruso sunglasses and prepare to dig deep. Forensic rhetoric deals with what happened or simply the past. Rhetorical CSI! (Yeeeeah.) When you’re engaged in forensic rhetoric you’re interested in uncovering a fact or a truth from actions that have already happened or ideas that have already been implemented. The classic example of an arena for forensic rhetoric is the courtroom. The island of Twitter is awash with forensic rhetoric. Political debate, especially, likes to focus on the forensic. Were there weapons of mass destruction in Iraq? What did Obama know on the night of the Benghazi attack and when did he know it? What really caused the Bieb’s last break up? TIP: When engaging in forensic rhetoric, be sure to determine your burden of proof. Instead of jumping into an argument and hurling facts back and forth, ask your opponent what it will take to convince him. And know what it will take for you to change your mind. Does the past bore you? OK, Marty McFly, don’t over heat your flux capacitor. Deliberative rhetoric deals with the future. Specifically, it deals with what should be done or what ideas to adopt. Congress deals heavily in deliberative rhetoric. Should ObamaCare become law? Are corporations people? Who should pay for Nancy Pelosi’s plastic surgery? TIP: It’s worth your time in nearly every instance to see if you can turn a forensic debate into a deliberative one—especially in a medium like Twitter with limited text space. For instance, if you’re debating ObamaCare, don’t focus on the aspects of the bill as is. Instead, focus on what you would like to see done to repeal/make the law better. Focus on what should be done next. Or focus on your opponent’s plans for the future and how they are/n’t plausible. Grab a beer and raise your glass. A toast to celebratory/ceremonial rhetoric! Because a toast is celebratory rhetoric (sometimes called epideictic rhetoric). Whenever you’re convincing someone of someone’s grandeur or depravity, giving a eulogy, or dedicating a new statue you’re engaging in ceremonial rhetoric. You may draw on the past or describe what someone / something will do in the future, but the goal of celebratory rhetoric is to praise or denounce something in the moment. TIP: When engaging in ceremonial rhetoric it’s important to consider two things: What does the audience already think about the subject and what unique aspect am I trying to convince them of? There’s a lot to be said about each genre of rhetoric, but as long as you’re aware that they exist and you make an effort to manage your arguments based on the proper genre you’re well on your way to being a better rhetor.